WORCESTER – Shirley A. 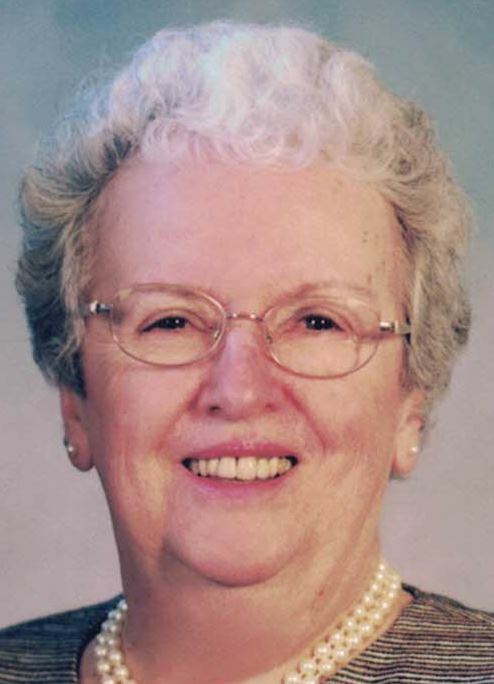 (Boucher) Santimore, 83, passed away on the morning of November 16, 2018 after a brief illness. She left this world in her own bed, in the arms of her true love and surrounded by her loved ones, after an evening spent reminiscing in the glow of her Christmas tree. In body, but not in spirit, she leaves behind her loving husband of 63 years (and nine months), Andrew R. Santimore, Sr., her four favorite children, Renee Metterville and her husband William of Worcester, Aimee Albani and her husband David of Holden, Andrew, Jr. and his wife Karen of Windsor, Missouri and Jeffrey and his wife Donna of Worcester, her four favorite pitous, Danielle Azzariti and her husband Jonathan of Cambridge, Emily Bostock and her husband Nicholas of Rutland, Johanna McEvoy and her husband Joseph of Salem and Justin Albani of West Haven, Connecticut and finally her most recent favorites, her babies, great-grandchildren, Jacob and Adeline Bostock and Margaret “Peggy” McEvoy. She also leaves behind many nieces, nephews, relatives and friends. She was pre-deceased by her parents, Maurice and Florida (Tremblay) Boucher and her sister Doris (Boucher) Tessier and her husband Edgar. Shirley spent her early years in South Worcester attending Holy Name Grammar School and South High School. She then worked at Kennedy’s Department Store where she met her future husband and developed her fashion sense. She and Andy spent most of their years together in Worcester, but the 13 years they spent at “camp” on Lake Whitamore in Spencer were some of the family’s best. Aside from spending time with her family, Shirley was a voracious reader. She also enjoyed making puzzles, bird watching and completing crossword puzzles. She also savored the peacefulness of the time she spent at Mass over these many years. Shirley often spoke of wanting to win the lottery to provide for all her loved ones, however, we’ve always known that we won the jackpot by having her in our lives. God, we are lucky. Her family knows she is waiting for us safely on the other side, surrounded by the beloved family and friends who have gone before her, with a lifetime of memories, a pile of good books, flocks of birds to watch and a forecast so heavenly, she’ll never need to turn on the Weather Channel. We miss you GiGi. Thank you. The family would like to thank all the staff at St. Vincent Hospital for all of their care and support. GiGi was not a fan of doctors or hospitals but she was surprised at how many genuinely caring people she came in contact with during her short stay, especially Cate. All are welcome to gather with Shirley’s family Tuesday, November 20th from 9 am to 11:15 am at Rice Funeral Home, 300 Park Avenue, Worcester. A Funeral Mass for Shirley will take place at 12 noon at Blessed Sacrament Church, 555 Pleasant Street, Worcester. She will then be laid to rest at Notre Dame Mausoleum in Worcester. In lieu of flowers, donations may be made to St. Jude Children’s Research Hospital, 501 St. Jude Place, Memphis, TN 38105 or online at www.stjude.org or to the charity of your choice.